Peak innovations Engineering is pleased to announce that they have been granted ISO/IEC 17025: 2005 accreditation by the American Association for Laboratory Accreditation (A2LA), after a thorough assessment and review of its quality management system and competence to perform specific tests. 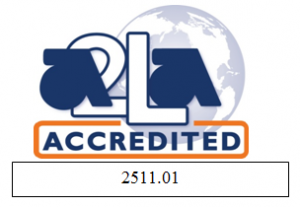 This achievement of A2LA accreditation demonstrates an organization’s competence to manage and perform the activities defined by its A2LA Scope of Accreditation 2511.01. These activities include various methods of torque and torque – tension testing of fasteners.